In the shadow of the Frederick Douglas Memorial Bridge – Washington, D.C.'s largest transportation infrastructure project to date – federal, state and local gathered with other transportation industry representatives to re-emphasize the importance of roadway work zone safety, especially since 799 motor vehicle drivers, passengers, bicyclists, and pedestrians were killed in work zone crashes in 2017, which includes 132 highway workers. The plan is to replace the nearly 70-year-old functionally obsolete bridge and the nearby I-295 and Suitland Parkway interchange with a more modern, wider and safer roadway, according to the District Department of Transportation. Yet the bridge project – expected to open for use in 2021 – also will feature the kind of work zones that can prove challenging to drivers and others during the spring and summer road construction season. That's the underlying reason for National Work Zone Awareness Week, being held April 8-12; to reduce fatalities and serious injuries in work zones by encouraging everyone to slow down and pay attention. The event – held in the nation's capital on April 9 and hosted by DDOT – served as the national "kickoff event" for the 2019 safety campaign; a campaign put together through a partnership of the Federal Highway Administration, the American Association of State Highway and Transportation Officials, the American Traffic Safety Services Association, Federal Motor Carrier Safety Administration and other groups including the American Road & Transportation Builders Association and Associated General Contractors of America, plus individual state departments of transportation. "Safety is everyone's responsibility," said U.S. Transportation Secretary Elaine Chao in a statement. "So please focus 100 percent on driving, be sober, be considerate of road workers and other road users and, please, obey the posted speed limits." The kickoff ceremony featured a number of speakers, as well as the ATSSA's "Memorial Wall," created to honor highway workers, motorists, and others who lost their lives in work zone crashes over the last two decades. "As the weather gets warmer, highway workers are heading outdoors to improve our roads and keep us moving," said Brandye Hendrickson, FHWA's deputy administrator, during a speech at the event. "We all need to do our part and drive carefully, so that we can help keep everyone safe wherever construction is under way." She told the AASHTO Journal that the annual National Work Zone Awareness campaign is a "good reminder" to everyone using the roads – motorists, commercial truck and bus operators, bicyclists and even pedestrians – to "take ownership" of the work zone safety issue. "We can get a little lax over a long winter," she said. "But we can't afford to do that when work zones start popping up very frequently at this time year to fix and improve the roads." Hendrickson also noted that, since 2005, FHWA has awarded more than $50 million in grants to develop work zone safety guidance and training and support the National Work Zone Safety Information Clearinghouse – a database dedicated to providing the transportation construction industry and the general public with comprehensive information on ways to improve motorist, worker, and pedestrian safety in roadway work zones. Jeff Marootian, DDOT's director, told the AASHTO Journal that not only are projects like the Frederick Douglas Memorial Bridge aimed at making the roads safe "for everyone that uses them" regardless of mode of travel but "they need to be safe for the men and women working on them as well." Guillermo Rivera, commander-special operations for the Metropolitan Police Department, pointed out that as work zones alter traffic patterns, motorists in particular need to use extra caution when navigating them in order to ensure the safety of workers, bicyclists and pedestrians in and around those areas. Lyndsay Sutton – whose father, Steven Morgan, died in a November 2011 accident while working on I-75 in Florida – emphasized that same point. "Fixing potholes and lane markings make roadway travel safe," she said. "Construction may be a nuisance, but remember, highway workers are out here for us." "Every day, in highway work zones from coast to coast, state DOT employees put their lives on the line making communities safer, stronger and more efficient," said Jim Tymon, AASHTO's executive director, in a statement. 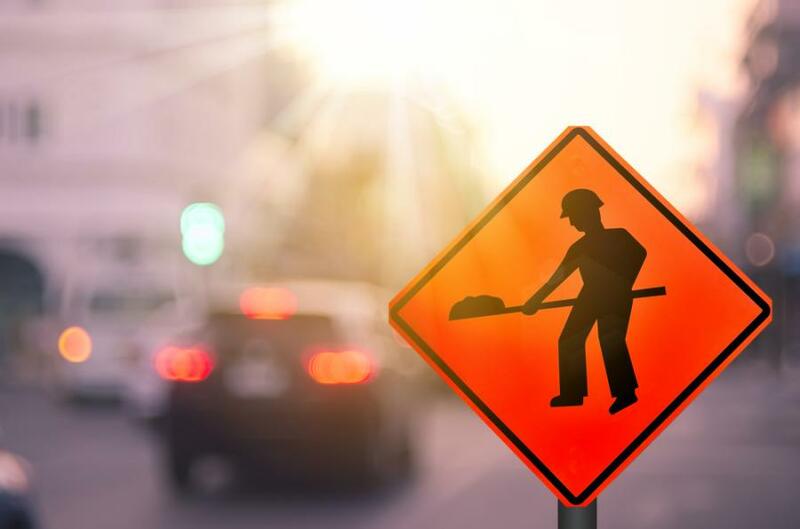 "Motorists owe it to those workers, their families, and the rest of the traveling public, to stay alert in work zones so that everyone gets home safely at the end of the day."